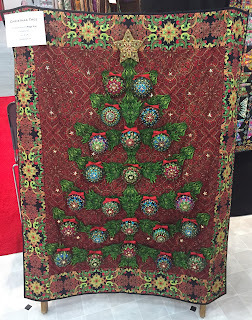 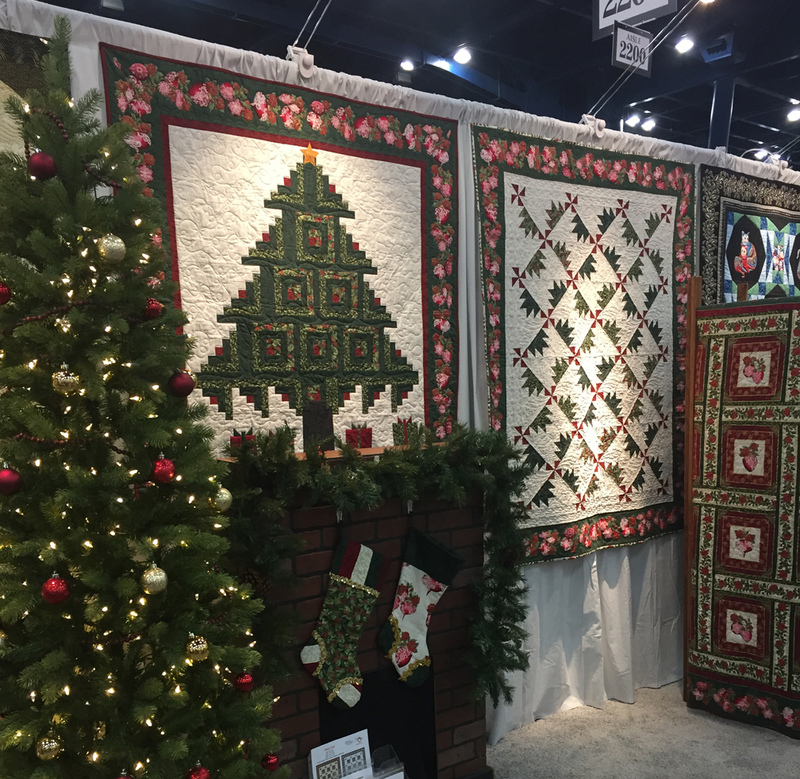 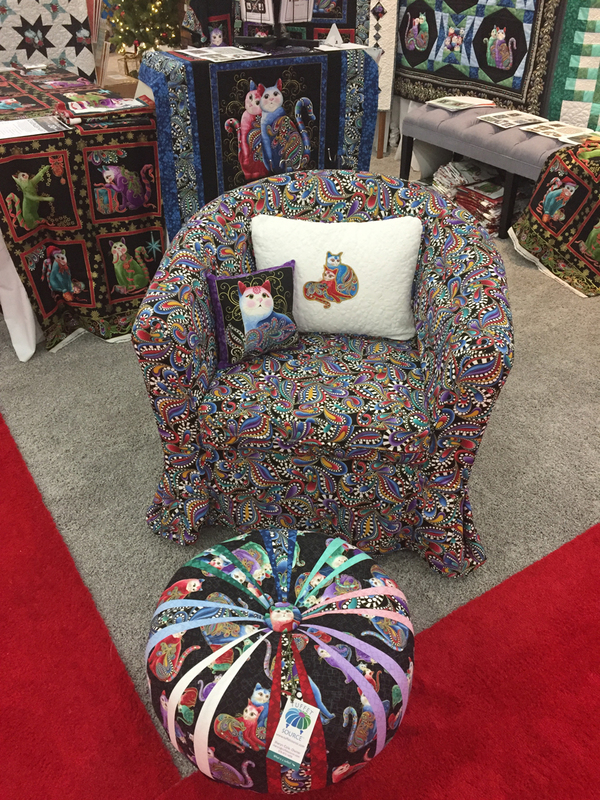 Take a virtual tour of our booths at Quilt Market! 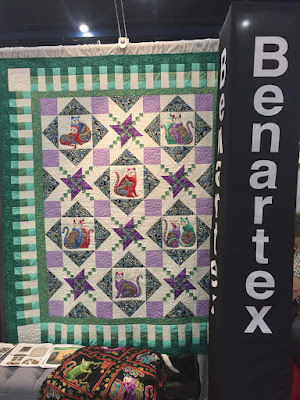 Today we're sharing the Benartex section of the booth; next up will be Contempo and Kanvas. 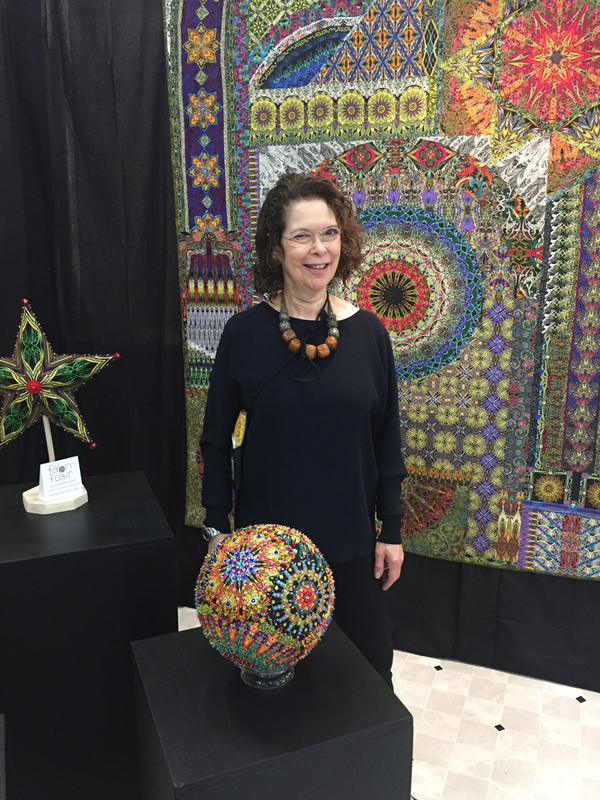 We're celebrating 20 years of Paula Nadelstern fabric design! 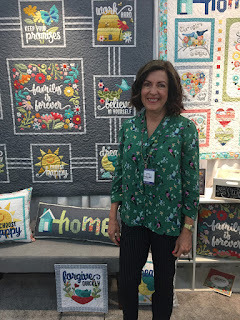 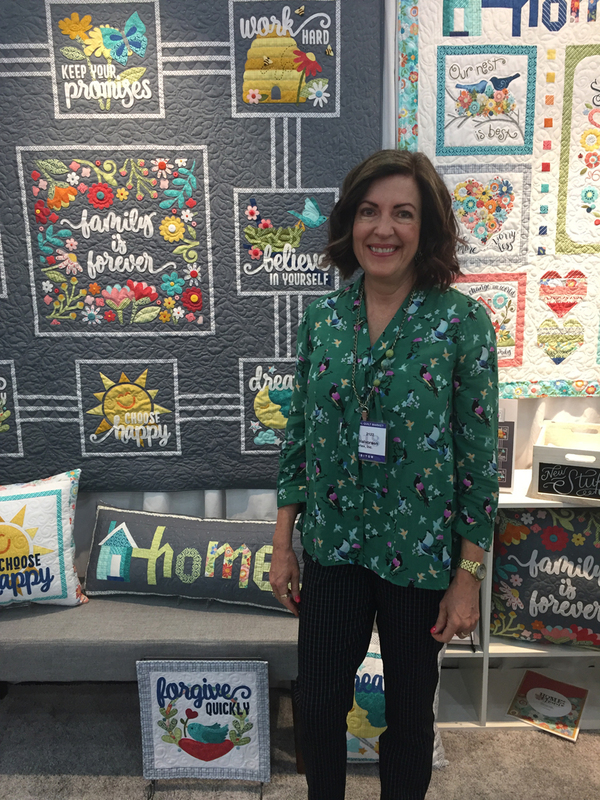 The booth highlighted her new collection, More is More, along with a retrospective of all of her fabric lines. Thank you, Paula, for 20 years of gorgeous fabric! 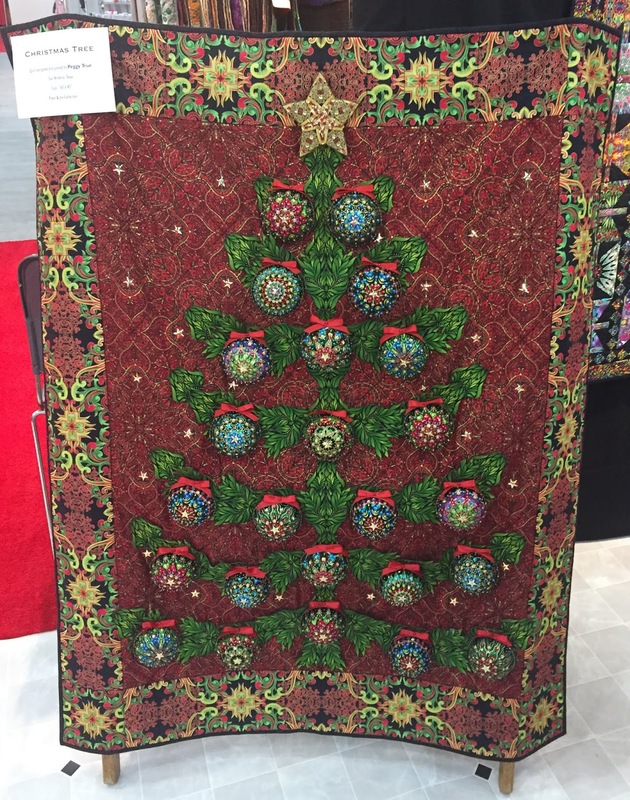 An advent calendar with gorgeously detailed ornaments counting down each day. 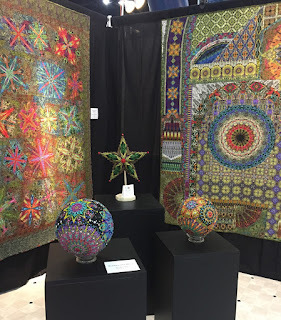 Fabric and beaded spheres, as well as a dimensional star from Indygo Junction. 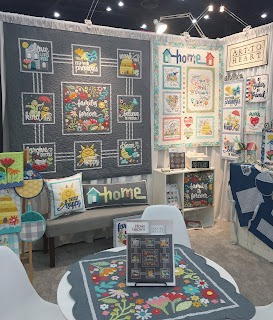 Next up is Nancy Halvorsen's new collection, Home Grown. It includes a panel ready for fussy cutting and plenty of Nancy's whimsical applique designs. Ann Lauer brings the cats back with Cat-I-Tude 2: Purr-Fect Together. 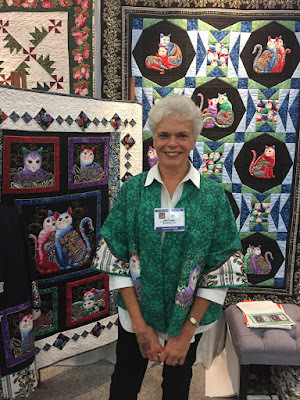 She's wearing a jacket made with Cat-I-Tude 2 prints! Fussy cut cats alternate with star blocks. 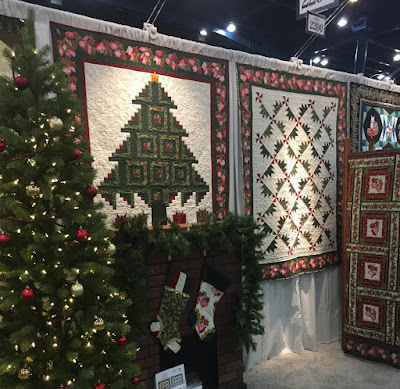 Take a sneak peek at Jackie Robinson's new Christmas collection, A Festive Season 3. 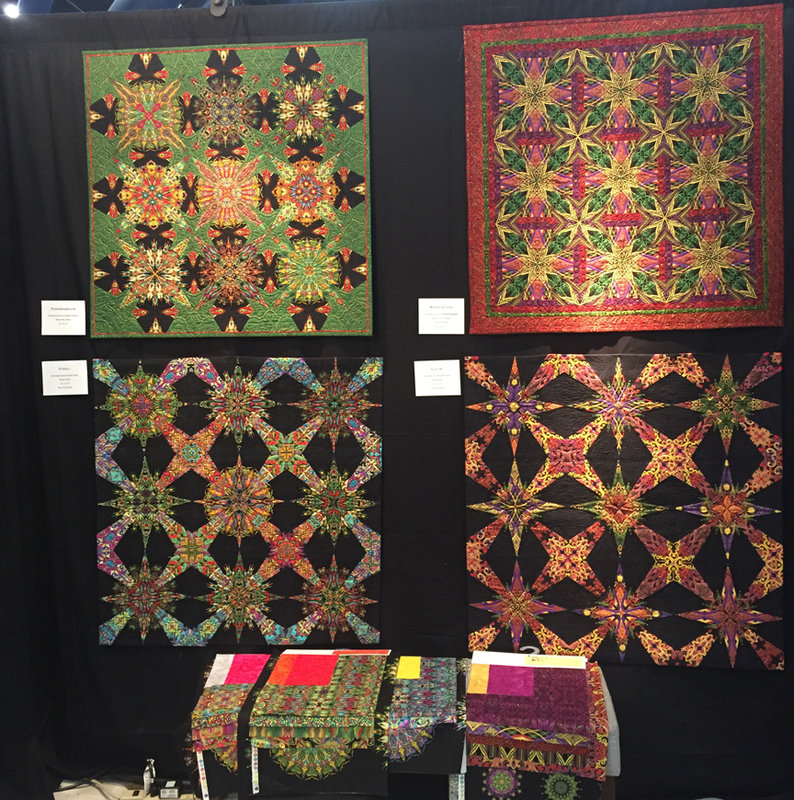 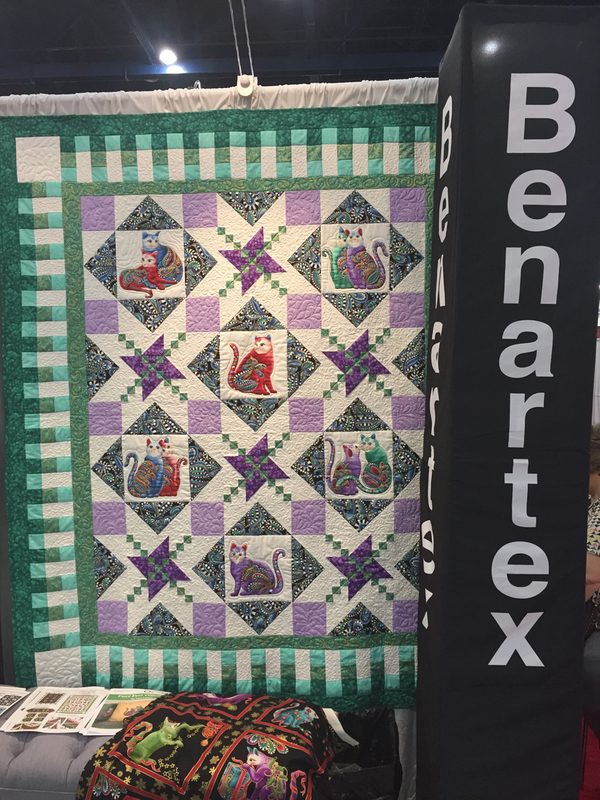 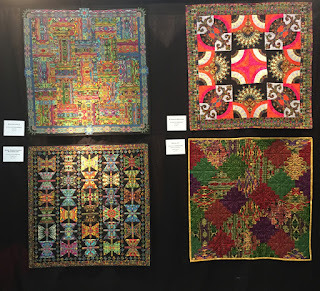 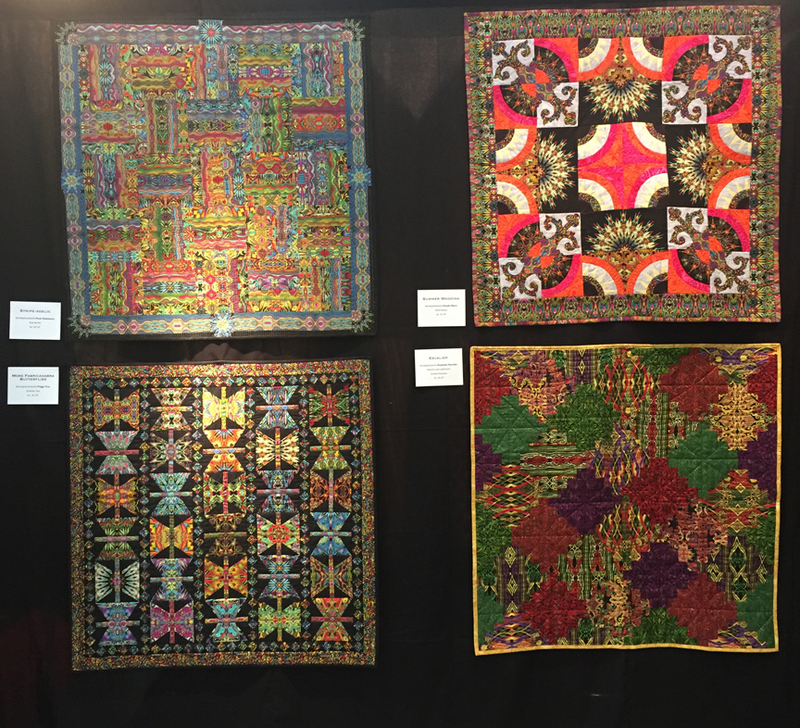 We hope you enjoyed seeing the quilts featured in the Benartex section of our booth. 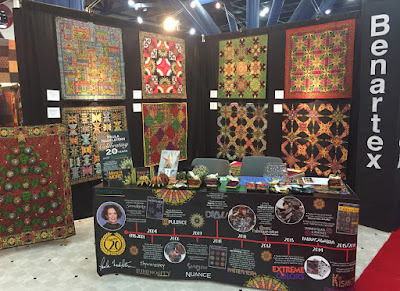 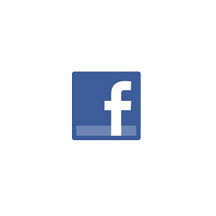 Tomorrow we'll be sharing the Contempo booth, and then the Kanvas booth on Sunday. What pattern did you use for cat tote bag? 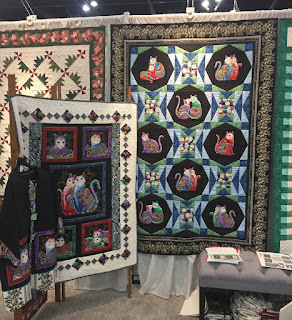 Love the three cats wallhanging shown. 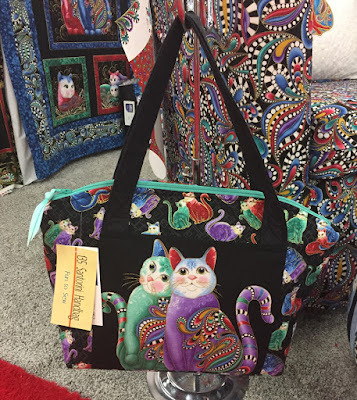 Is the pattern available?